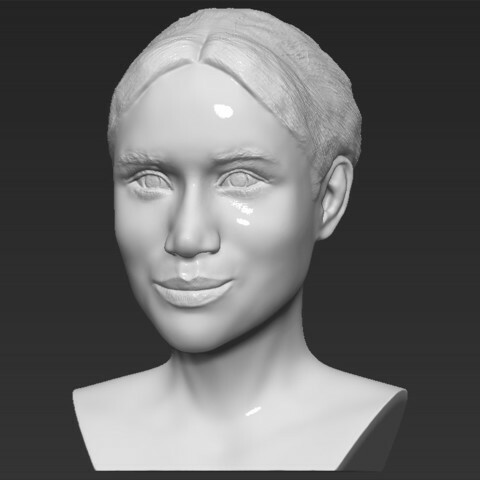 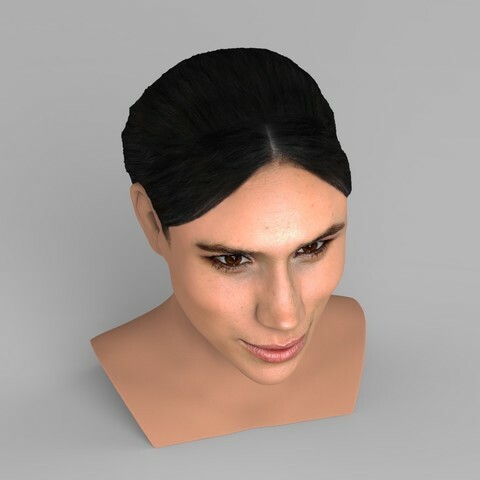 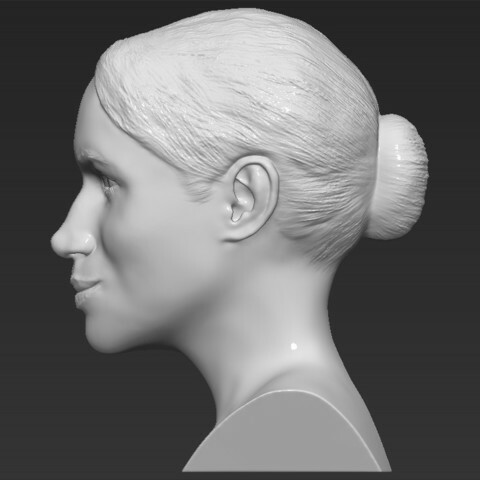 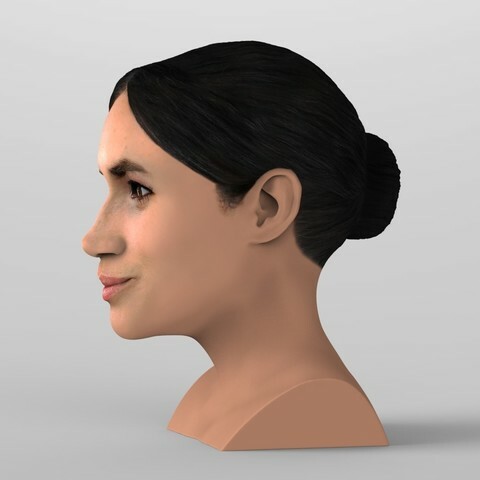 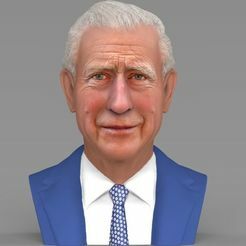 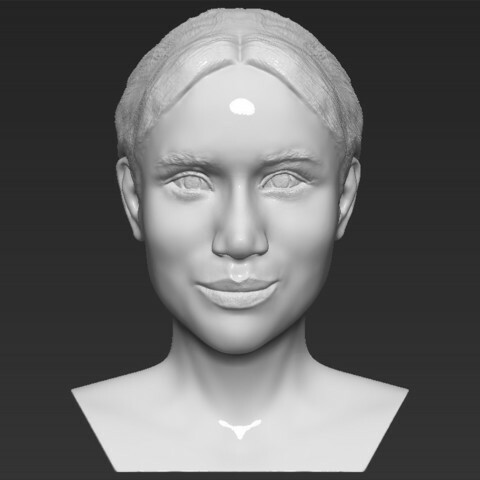 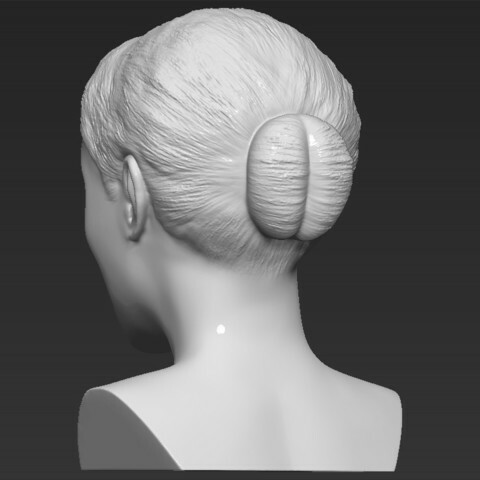 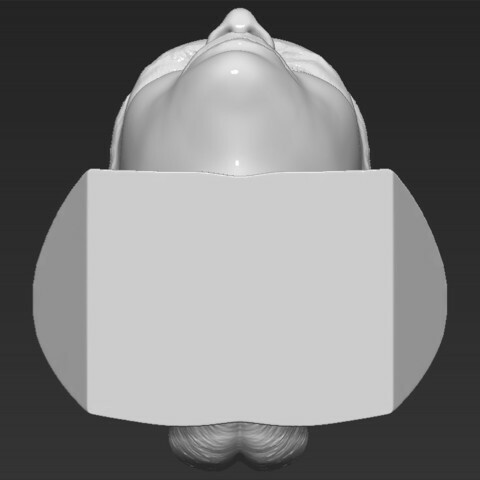 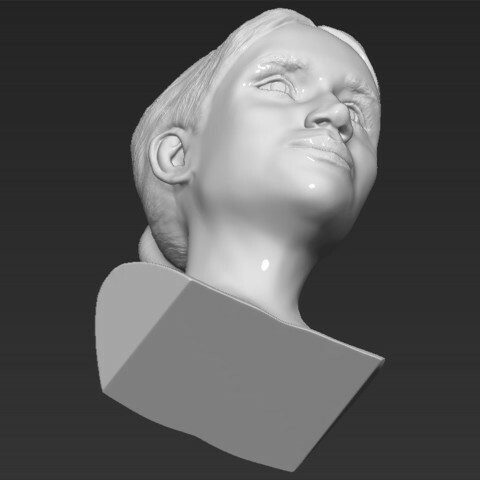 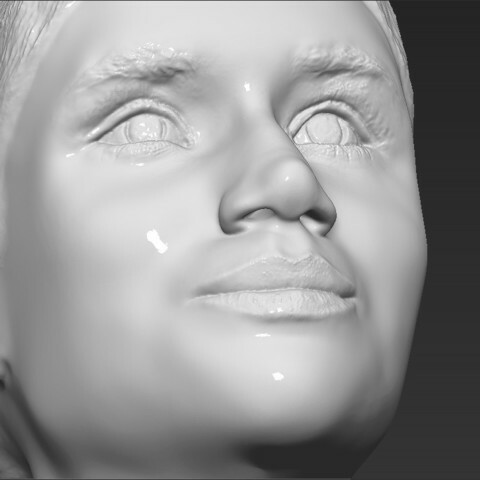 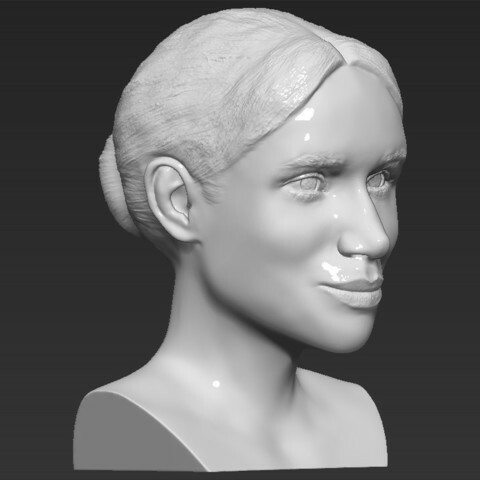 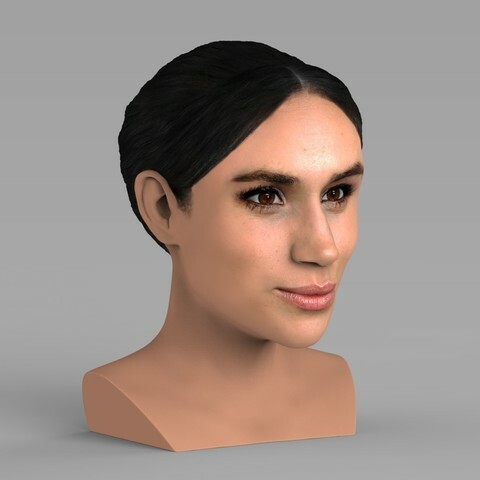 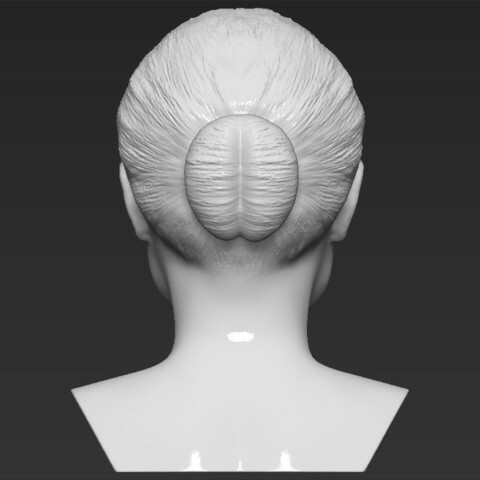 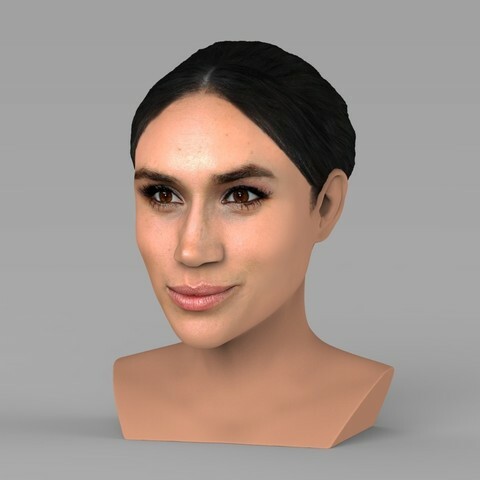 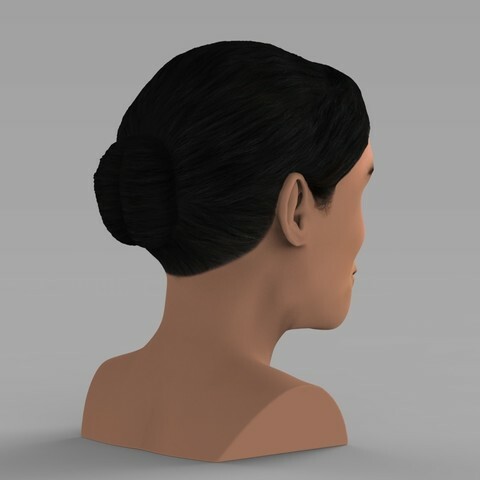 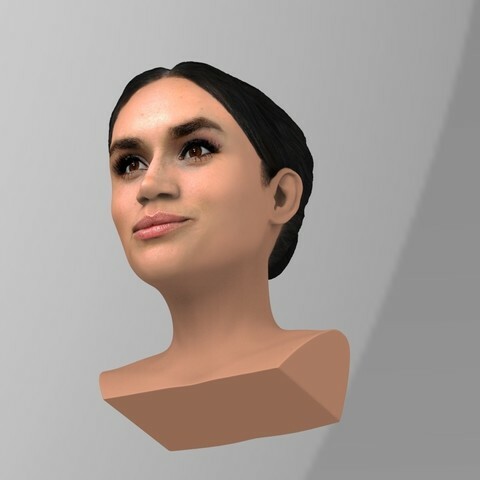 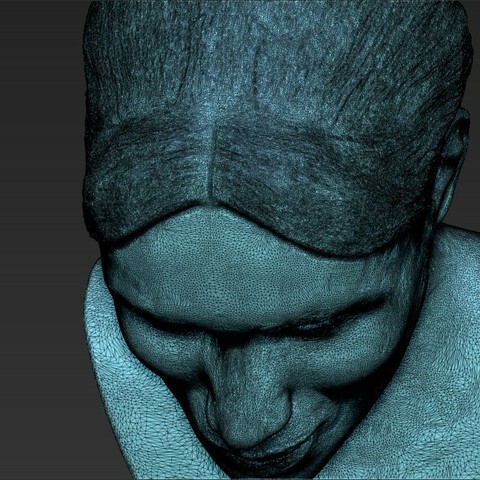 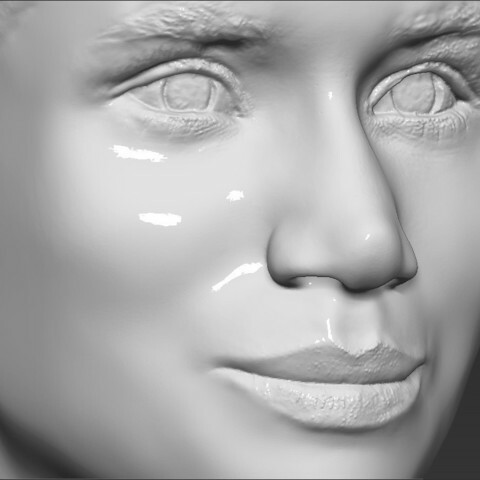 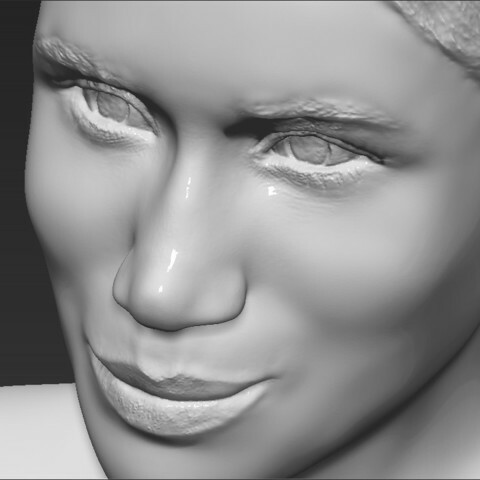 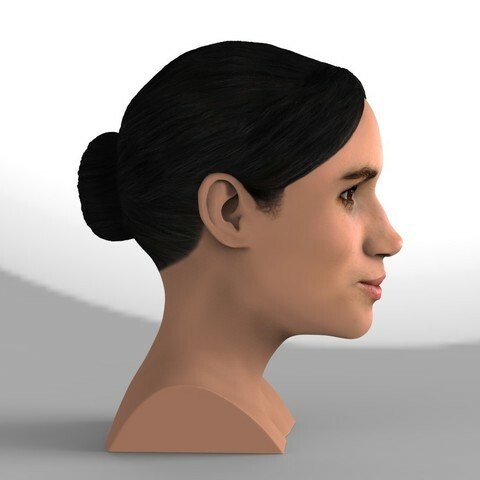 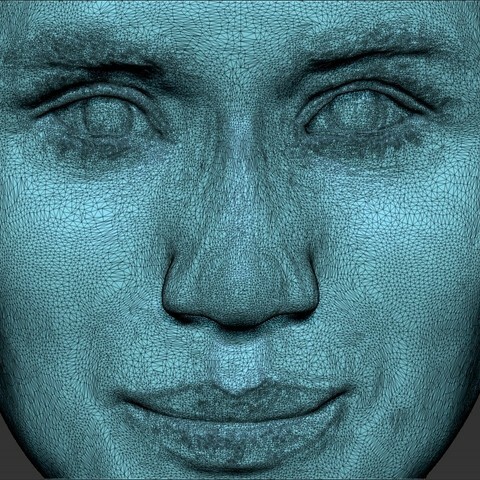 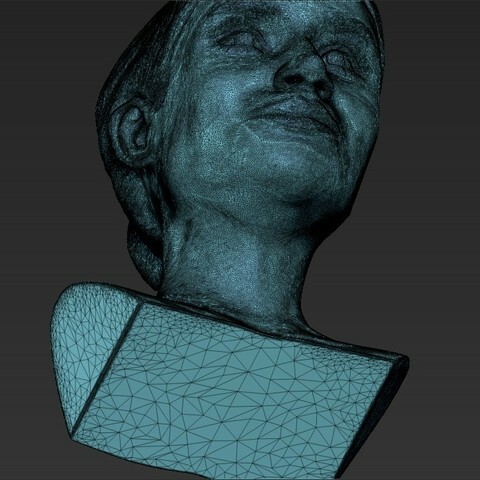 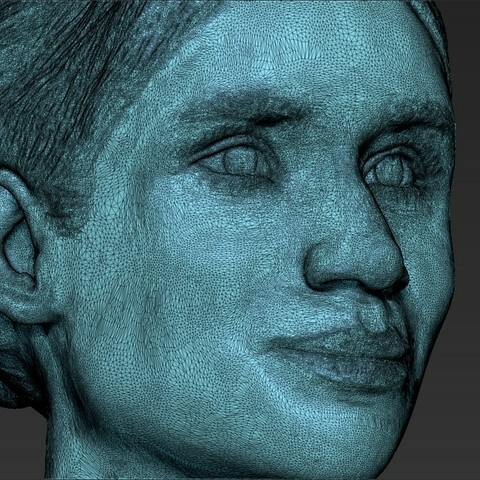 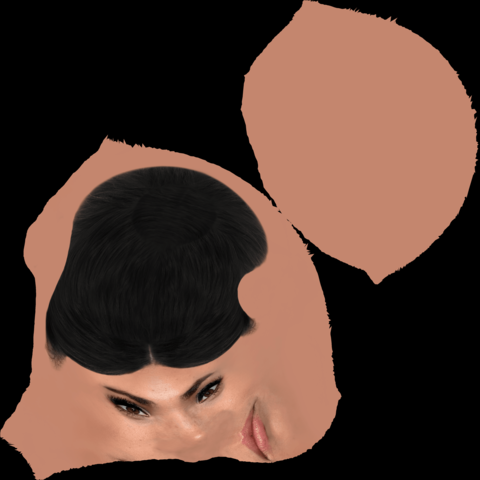 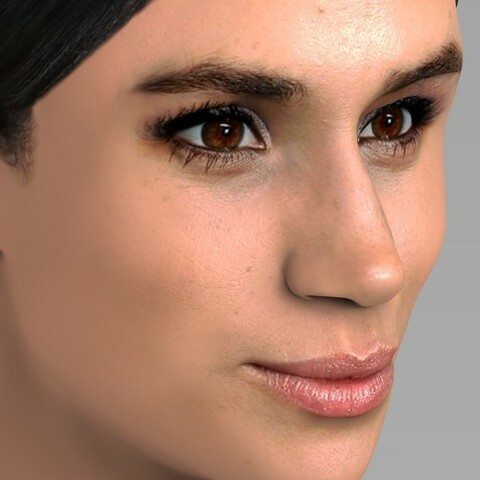 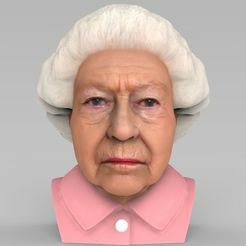 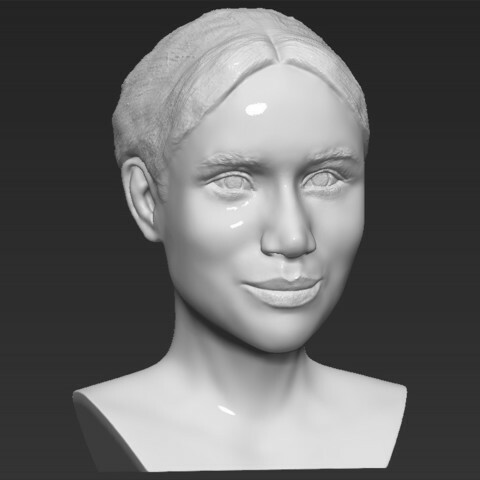 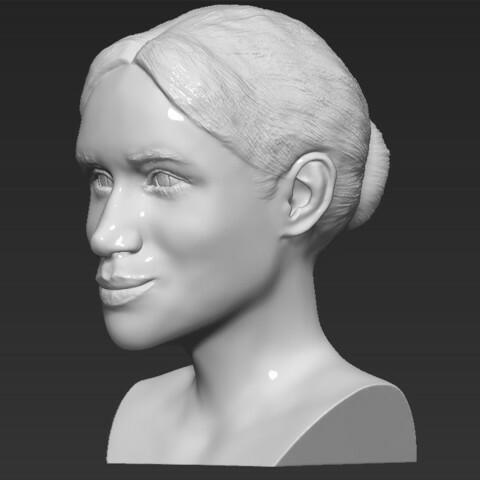 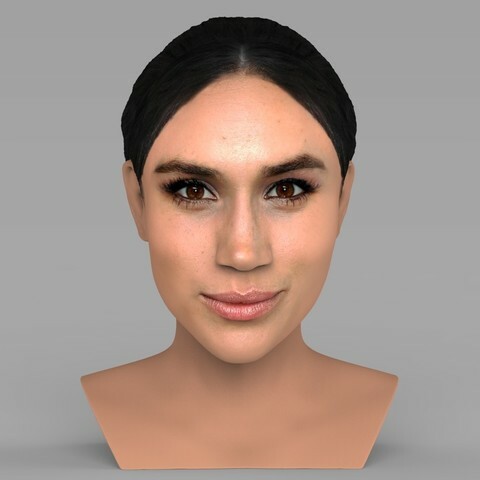 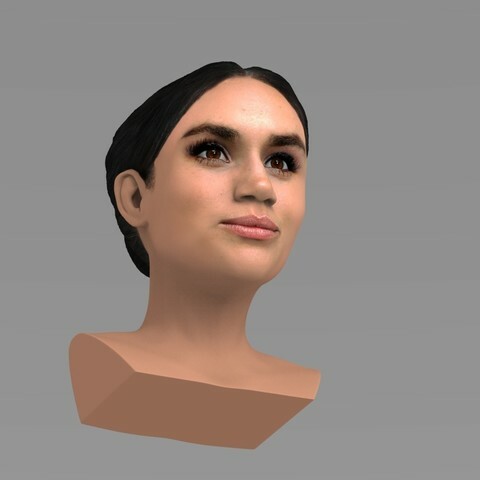 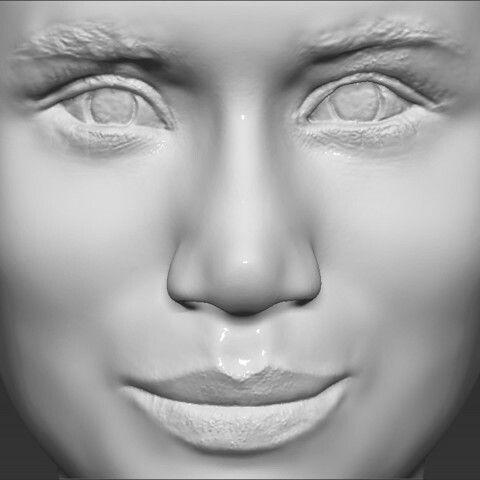 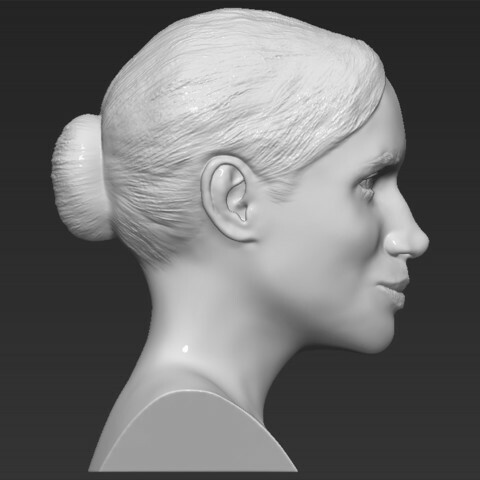 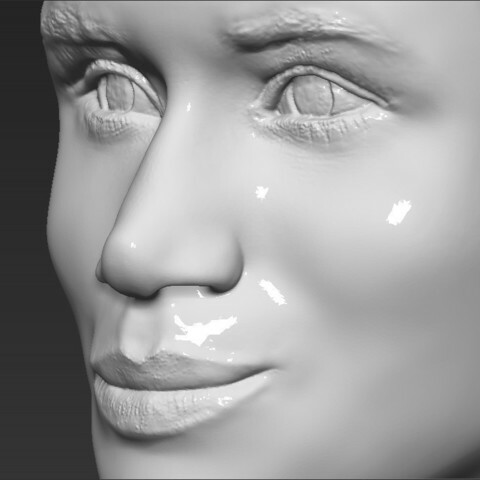 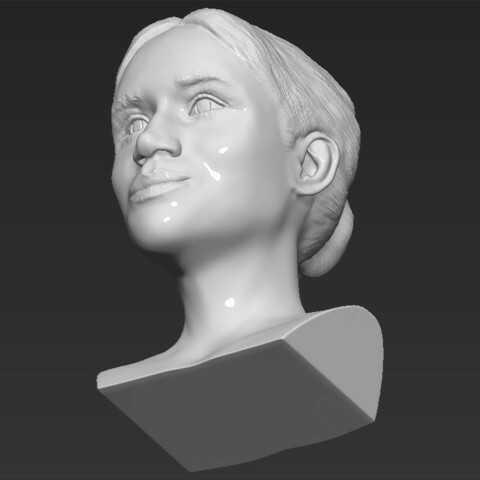 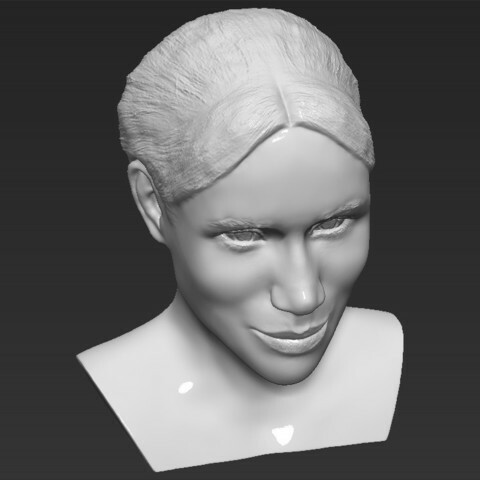 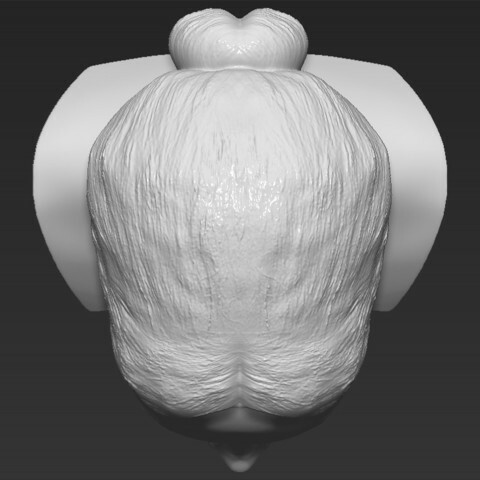 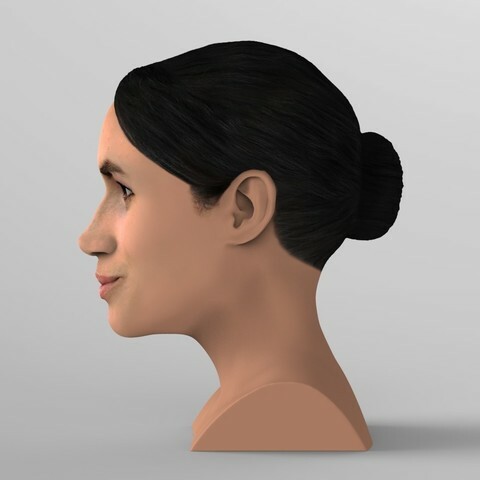 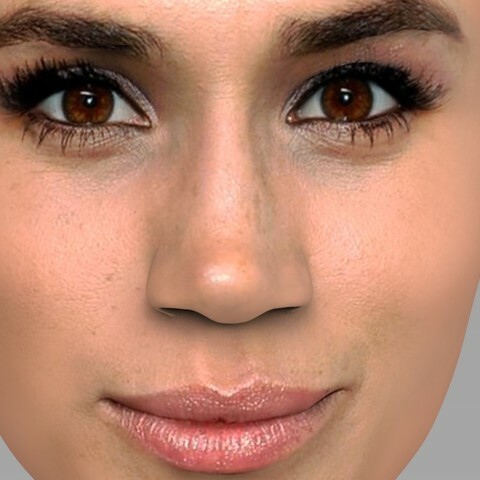 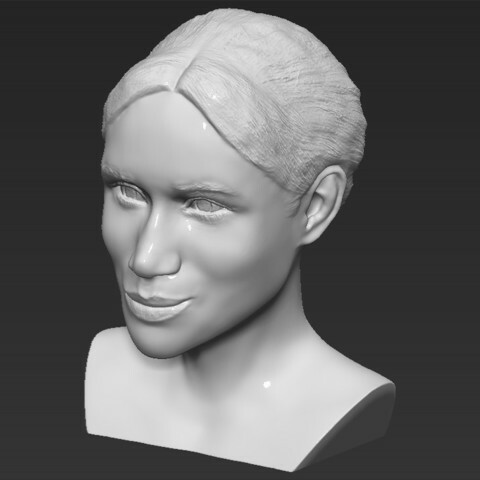 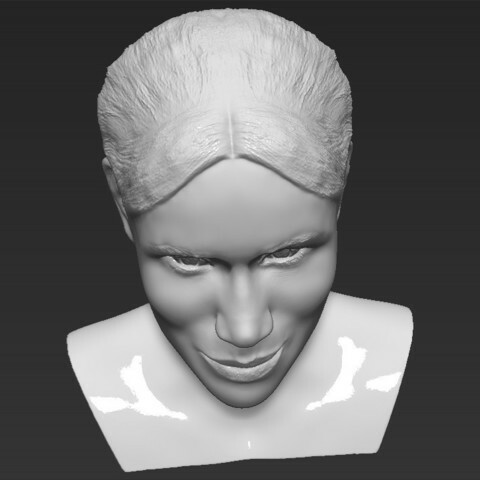 Here is Meghan Markle bust 3D model ready for full color 3D printing. 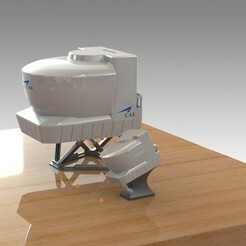 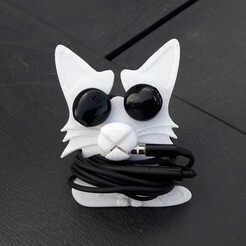 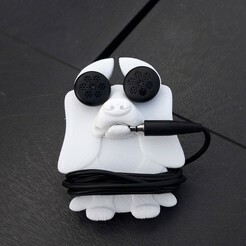 The model current size is 5 cm height, but you are free to scale it. 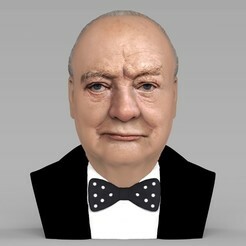 Zip file contains obj and wrl with texture in png. 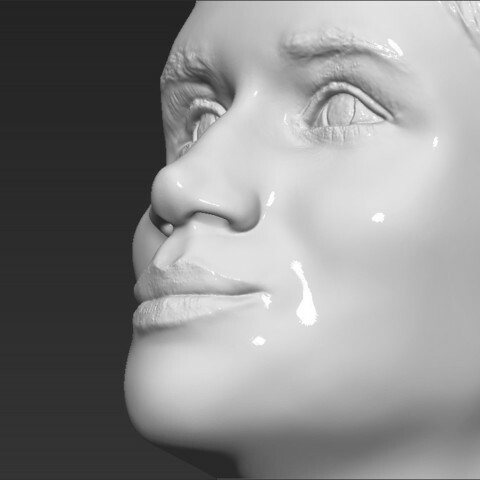 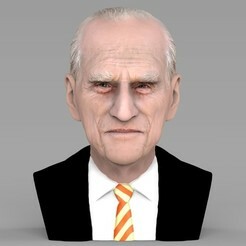 The model was created in ZBrush, Mudbox and Photoshop.